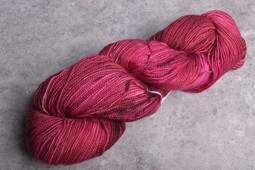 Relax & knit the evening away with Savannah, a hand-dyed beauty from California. The blend of Merino, super-soft Cashmere & nylon delivers great stitch definition & comes in a lively palette. Ideal for socks, wraps, & shawls.